This site provides an overview of the Phi Mu Chapter members, current and recent events, and allows us all to share documents and participate in discussions about chapter events. Use login (top right) for more website features. This 2nd meeting of our newest hub was kindly hosted by University of Hull in the new Allan Medical Building. 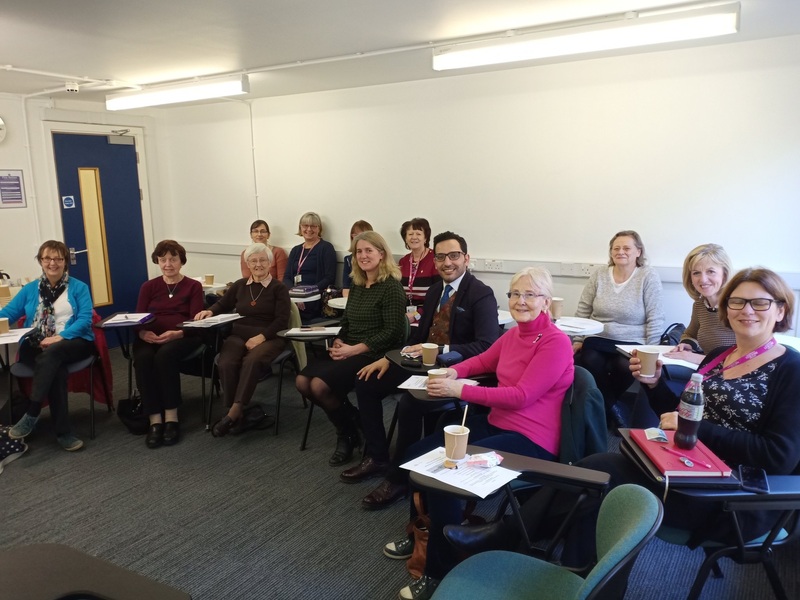 The event was introduced by Prof Steve Ersser (Hub lead) and was followed by a presentation about Phi Mu Chapter and our aspirations by Dr Janet Scammell, President of the Chapter. Events coming up in May and July were shared. A discussion about the Chapter and the hub was held, including increasing membership and in particular from students. Lesley Gratrix (University of Hull): Nursing Leadership and ward sisters in supervisory roles. Lesley shared her PhD research journey to date and her evident passion understanding this key Nurse leader role. Dr Parveen Ali (University of Sheffield): Emerging Nurse Researcher Award 2017 - Success is a Journey and not a Destination. Parveen shared her nursing career journey to date and the challenges and strategies to maximise success. The meeting concluded with a discussion of practicalities of managing the Northern hub and the recruitment of a steering group. Many thanks to those who volunteered! 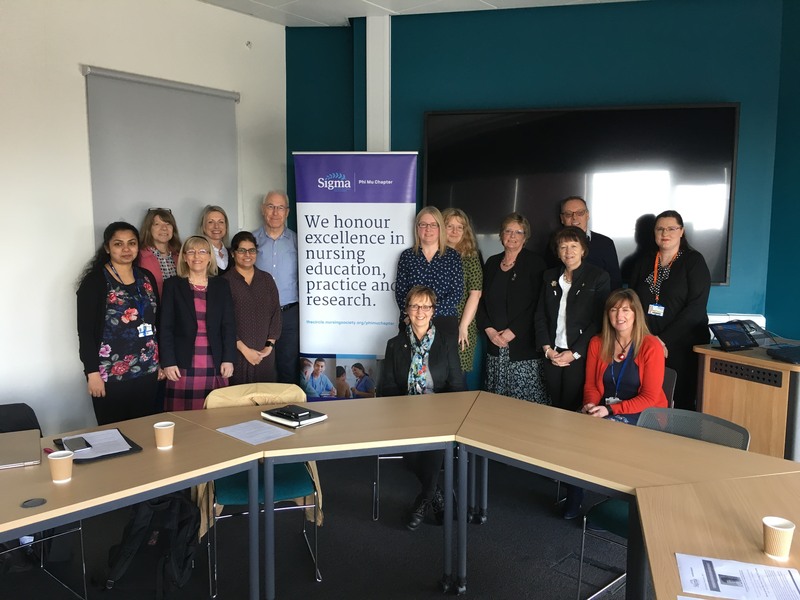 The first Northern Hub meeting was hosted by Steve Ersser, Roger Watson and Janet Scammell with support from the University of York. The day began with the Phi Mu Board meeting in the morning followed by a networking lunch. Presentations were given in the afternoon by Janet Scammell, Roger Watson, Paul Galdas and Sedar Sever. (Presentation slides can be found in the Phi Mu library and the video of the presentations will be made available in due course.) The day ended with discussion about how the Northern hub can be developed to best support the northern members of Phi Mu. The day was well attended and was a fantastic opportunity for members and non-members alike to network and support the work of Phi Mu in the north of England. 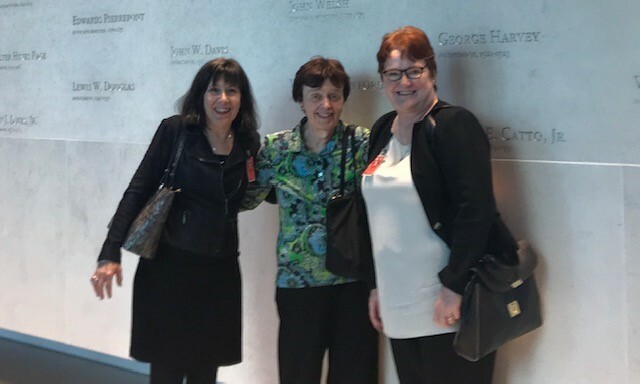 Phi Mu Chapter member, Adriane de Savorgnani (photo: centre), welcomed Sigma President, Beth Baldwin Tigges (left), and Chief Executive Officer, Elizabeth A. Madigan (right), to the new U.S. Embassy at Nine Elms, London, on September 27th. The officers were visiting the city for Sigma’s third annual symposium on Emerging Global Healthcare Leadership. They enjoyed lunch in the fifth floor embassy cafeteria with its sweeping views of the Thames and riverfront properties. Afterwards they toured the main building features of the “crystal cube” including artwork, gardens, open plan offices, multipurpose room and employee conveniences such as the bank, medical unit and shoppette. The embassy, which opened in January, is one of the largest in the world with over 1000 employees and 43 government agencies. It was a delight and honor to host the Sigma officers for this special visit during their stay in London. 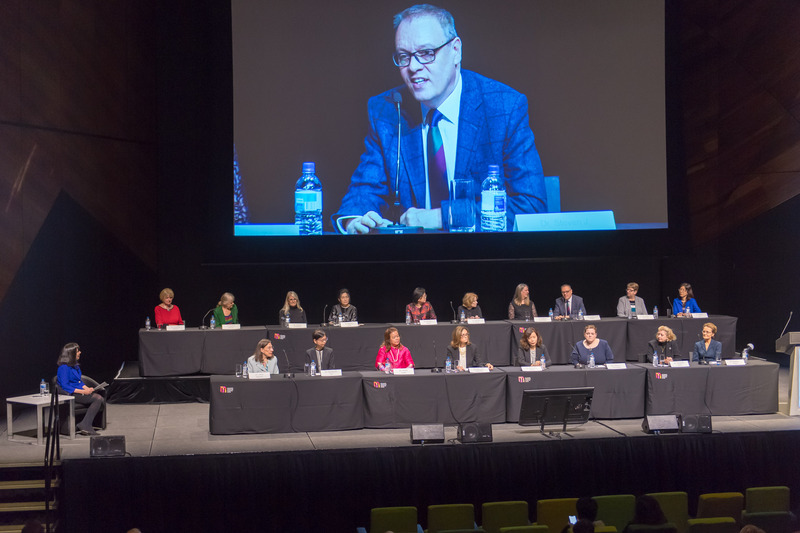 In July at the Sigma International Research Congress in Melbourne, 20 nurse researchers were recognised from the USA, Canada, Australia, Taiwan, and China. This included from the UK our Phi Mu Chapter member, Steven Ersser, Professor in Clinical Nursing Research from the University of York, who was nominated by the Chapter and endorsed by national and international referees from nursing and medicine. The award was given for his sustained contribution to the field of dermatological and skin care nursing nationally and internationally and supporting others to engage in research within this field. The awards were presented by Sigma President, Dr Beth Baldwin Tigges, who conducted interviews with each awardee on their nursing research career and views on research mentorship. She said, "Each of these Hall of Fame honourees represents a lifetime of contribution to the nursing profession." Steven is grateful for the endorsement by the Chapter and the support and collaboration from many academic and clinical colleagues over the last 30 years. Steven is Professor in Clinical Nursing Research and Interim Deputy Head of Department for Nursing & Midwifery at the University of York. Join us at Bournemouth University on 2nd May 2019 at 1pm. Please see Chapter events tab at the bottom of this webpage for details. 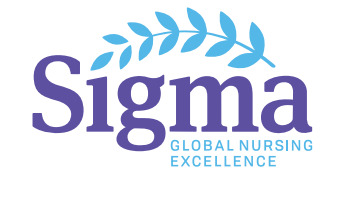 Our Chapter is offering three annual awards to support members to contribute towards Sigma’s mission of advancing world health and celebrating nursing excellence in scholarship, leadership and service. Awards focus on excellence in the areas of research, education and clinical practice and applications are open now. Please click on the awards section of our website (see top menu bar). This will be held on 19th July 2019 at Oxford Brookes University. This is FREE event for Sigma members, but non-members are welcome at the minimal cost of £40 payable on the day. Keynote speakers include Prof Anne-Marie Rafferty. To book a place, please email Dr Liz Westcott westcottej@brookes.ac.uk by 20th May. 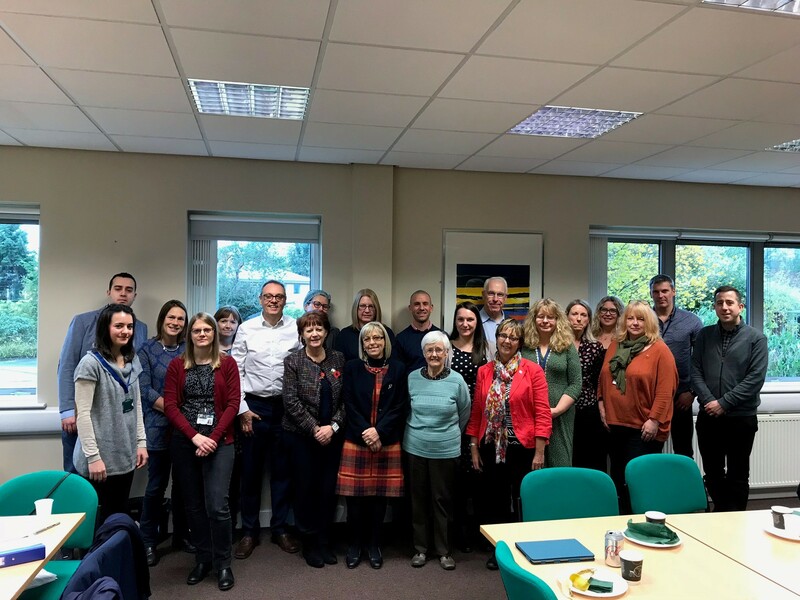 Hosted by the University of Hull, this event brought together existing members with colleagues interested in the society and what it has to offer. Please see story on main webpage. Annual Conference and Induction - save the date! 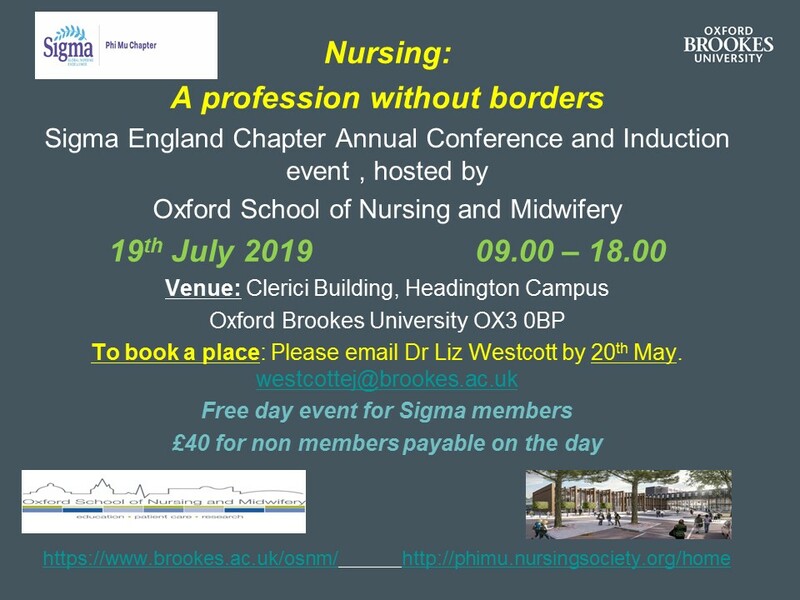 This year the Phi Mu annual conference and Induction ceremony will be held at Oxford Brookes University on 19th July 2019. Further details will be released in due course. Please put the date in your diary now, for what is bound to be an exciting and informative day. 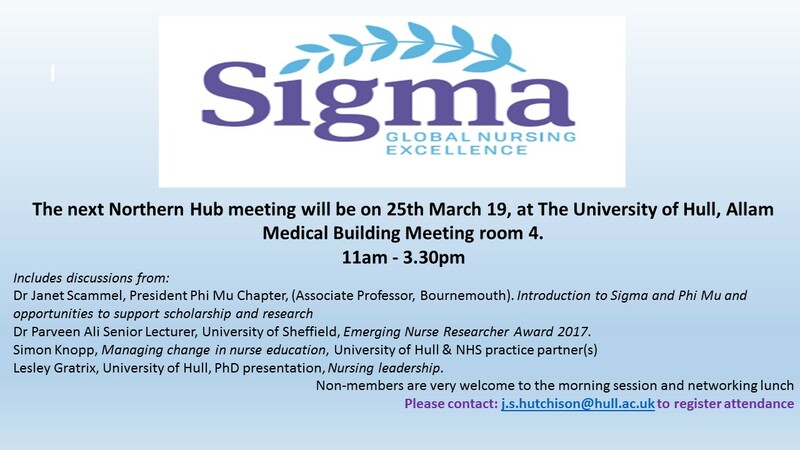 The next Northern hub meeting will be on 25th March, at Hull. The programme will run from 11am - 3.30pm. Morning sessions will be open to members and non-members. The programme plan, travel guidance and campus map are available on the Phi Mu website within the Northern Hub section of the Library. European December Newsletter now out! The European December newsletter is now available. It's in the Newsletters section of the Phi Mu Library. Please do have a read!